Hey everyone, I hope your week is going well so far! It's gonna be quick again today because I waited until the last minute to post and I really need to get to work! This design was inspired by Chalkboard Nails YouTube tutorial which you can find here! 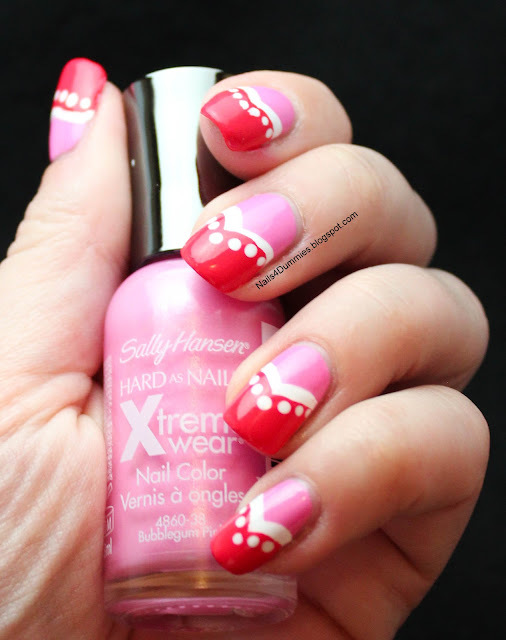 The polishes I used were a base of two coats of Sally Hansen Xtreme Wear - Bubblegum Pink and White On. 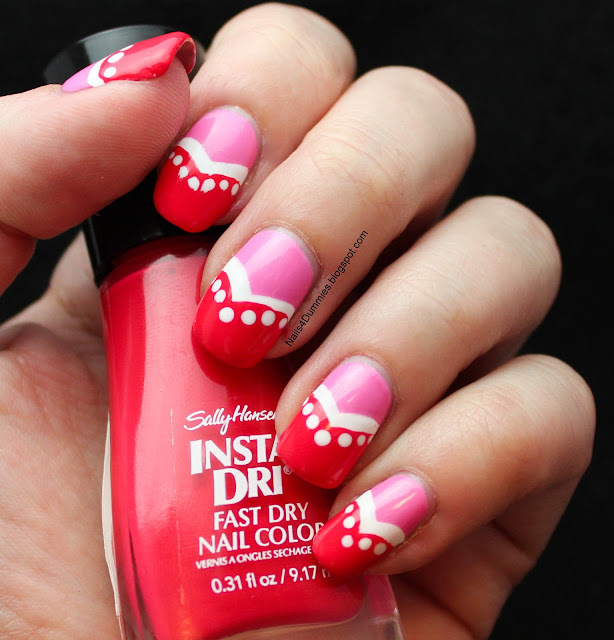 Then at the tips is Sally Hansen Insta-Dri - Sonic Boom which is and awesome pinkish red color that I absolutely love! 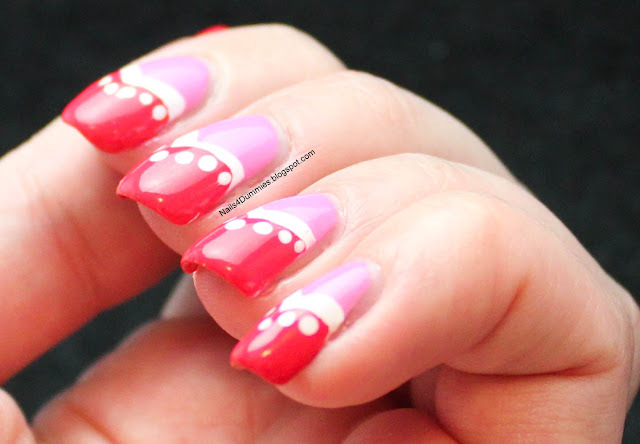 I accidentally smeared my dots on the index finger so close your eyes when you get to that one! And GUESS WHAT??? I've finally gotten around to doing some YouTube videos!! I would be honored if you would give them a peek HERE! Also, be sure to leave me comments letting me know what tutorials you would like to see!